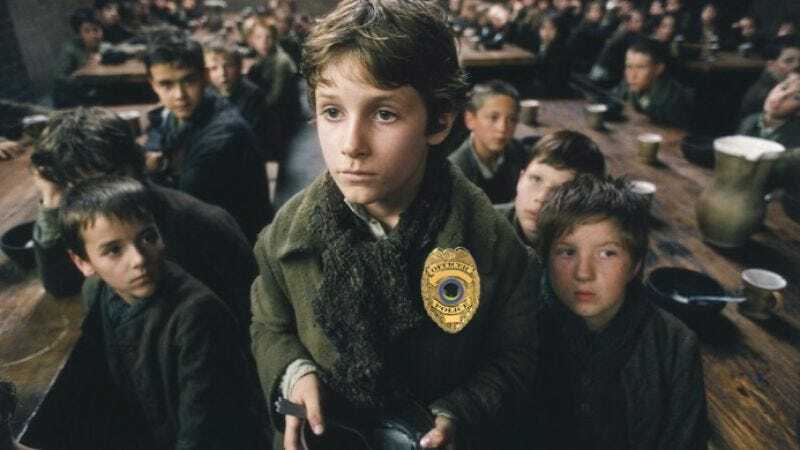 While there have been other, admirable attempts to update Charles Dickens’ Oliver Twist recently—as the gender-flipped Olivia Twist, in which Ashley Greene joins a gang, and as a “3-D parkour” film in which Dickens’ novel is doused in Red Bull and tossed at various obstacles—none of these have reimagined Dickens’ orphan protagonist as a cop, and thus the story remains as inscrutable as Sanskrit to modern audiences. Fortunately, Ahmet Zappa has devised Dodge & Twist, a Sony film that revisits Oliver and his former pickpocketing rival The Artful Dodger, some 20 years after the point where Dickens bafflingly stopped writing before turning either of them into cops. Zappa’s concept finds Twist and the Artful Dodger—or “Dodge” as he’s known, as a mature adult who does gritty, adult things—now on opposite sides of the law, as Twist attempts to prevent Dodge from stealing the Crown Jewels. Classic literature repairman Cole Haddon (of the upcoming The Strange Case Of Mr. Hyde and NBC’s Dracula series) will script the film inspired, obviously, by Sherlock Holmes and the fact that Dickens is still dead, as dead as storytelling that does not involve cops.